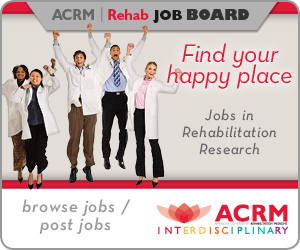 The American Congress of Rehabilitation Medicine (ACRM) advocates that rehabilitation programs and individual practitioners base their clinical activities on the best research evidence available. 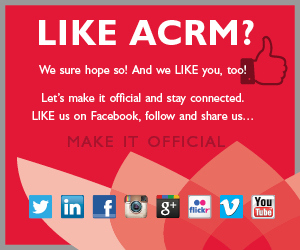 ACRM and its members often have a role in the creation, evaluation and dissemination of evidence. We strive to apply the highest standards of rigor to the evaluation of research evidence and its application in rehabilitation clinical practice. ACRM has established the Evidence and Practice Committee (EPC) – formerly known as the Clinical Practice Committee (CPC) – to provide advice on all issues relevant to the collection, evaluation, and dissemination of evidence and the guidelines/practice parameters that may be based upon it. The EPC has primary responsibility for evaluating the quality of evidence reviews and evidence-based practice (EBP) recommendations that are disseminated as ACRM practice parameters, systematic reviews, educational reports or position statements and for facilitating the development of such materials in the ACRM environment. The EPC also evaluates all guidelines developed by other organizations proposed for ACRM endorsement and provides recommendations to the ACRM Board of Governors regarding approval. Final endorsement requires ACRM Board approval. As a component of an interdisciplinary organization, the EPC has reviewed the validity of nationally and internationally respected approaches to evidence synthesis. The EPC has selected the methodology developed by the American Academy of Neurology (AAN) as the preferred way of developing guidelines for rehabilitation professionals. 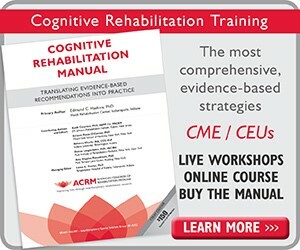 While the AAN method is the preferred basis, reviews and guidelines developed using other recognized evidence-based methods such as those of the Cochrane Collaboration, the Appraisal of Guidelines for Research and Evaluation (AGREE) collaboration, Grades of Recommendation, Assessment, Development, and Evaluation (GRADE), the Institute of Medicine, and the Agency for Healthcare Research and Quality will also be considered for ACRM endorsement. The EPC also develops materials and standards to improve the synthesis of research information and its application to rehabilitation in practice. The Member Guide to Product Development describes ACRM products, e.g., fact sheets, journal articles, manuals, and the procedure used by ACRM groups and committees to develop them. Includes a product development worksheet and a form to request a product review. 1. Seel RT, Dijkers MP, Johnston MV. Developing and using evidence to improve rehabilitation practice. Arch Phys Med Rehabil 2012;93(8 Suppl 2):S97-100. 2. Whyte J, Barrett A. Advancing the evidence base of rehabilitation treatments: a developmental approach. Arch Phys Med Rehabil 2012;93(8 Suppl 2):S101-10. 3. Graham JE, Karmarkar AM, Ottenbacher KJ. Small sample research designs for evidence-based rehabilitation: issues and methods. Arch Phys Med Rehabil 2012;93(8 Suppl 2):S111-6. 4. Hart T, Bagiella E. Design and implementation of clinical trials in rehabilitation research. Arch Phys Med Rehabil 2012;93(8 Suppl 2):S117-26. 5. Horn SD, DeJong G, Deutscher D. Practice-based evidence research in rehabilitation: an alternative to randomized controlled trials and traditional observation studies. Arch Phys Med Rehabil 2012;93(8 Suppl 2):S127-37. 6. Seel RT, Steyerberg EW, Malec JF, Sherer M, Macciocchi SN. Developing and evaluating prediction models in rehabilitation populations. Arch Phys Med Rehabil 2012;93(8 Suppl 2):S138-53. 7. Velozo CA, Magasi S, Heinemann AW, Romero S, Seel RT. Improving measurement methods in rehabilitation: core concepts and recommendations for scale development. Arch Phys Med Rehabil 2012;93(8 Suppl 2):S154-63. 1. Dijkers MP, Murphy SL, Krellman J. Evidence-based practice for rehabilitation professionals: concepts and controversies. Arch Phys Med Rehabil 2012;93(8 Suppl 2):S164-76. 2. Johnston MV, Dijkers MP. Toward improved evidence standards and methods for rehabilitation: recommendations and challenges. Arch Phys Med Rehabil 2012;93(8 Suppl 2):S185-99. 3. 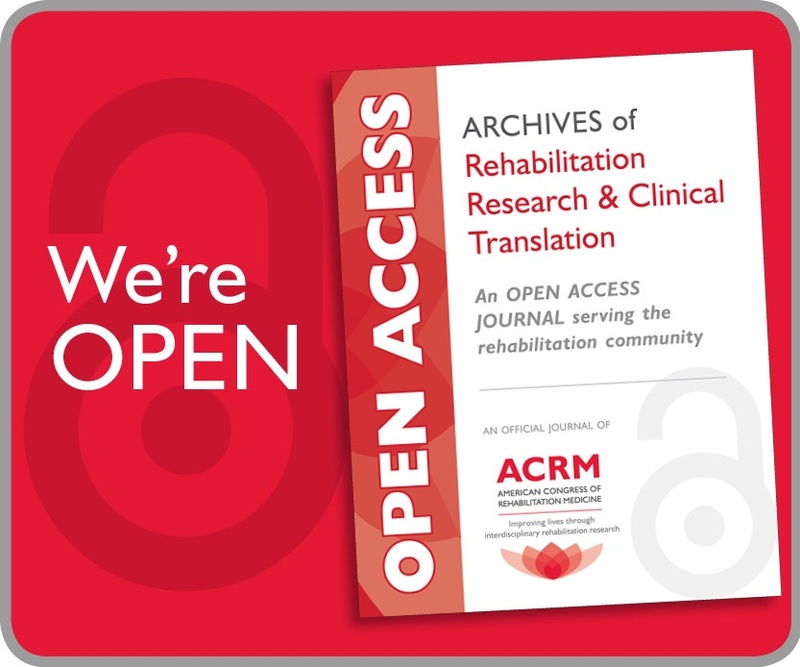 Dijkers MP, Bushnik T, Heinemann AW, Heller T, Libin AV, Starks J, Sherer M, Vandergoot D.Systematic reviews for informing rehabilitation practice: an introduction. Arch Phys Med Rehabil 2012;93:912-8. 4. Brown PA, Harniss MK, Schomer KG, Feinberg M, Cullen NK, Johnson KL. Conducting systematic evidence reviews: core concepts and lessons learned. Arch Phys Med Rehabil 2012;93(8 Suppl 2):S177-84. The EBP section lists all SRs completed by the AHRQ funded Evidence-based Practice Centers. “Systematic Reviews” lists published SRs on speech, language, and hearing issues that have been evaluated by Association staff. The Campbell Library contains SRs of interventions in the areas of education, social welfare, and crime and justice. The Database of Abstracts of Reviews of Effects is focused primarily on SRs that evaluate the effects of health care interventions and the delivery and organization of health services. Health Technology Assessments (HTAs) supplied by the members of the International Network of Agencies for Health Technology Assessment and other HTA organizations around the world. Cochrane Library contains all the SRs completed by the numerous Cochrane groups. The EPPI Library holds SRs in the fields of education, health promotion, and public health. An evidence-based review of the literature for rehabilitation or rehabilitation-related interventions for acquired brain injury. Library of Systematic Reviews contains documents reporting on SRs of quantitative or qualitative studies of health care practices and therapeutics. Guidelines documents contain SRs of the topic. Registry of SRs of disability and rehabilitation research. On the search page, the “Method” specification allows one to select SRs in the area of physical therapy. PROSPERO is a registry of planned and in-progress health care SRs, providing their protocol. On the search page, the “Method” specification allows one to select SRs in the area of cognitive, behavioral, and other treatments for psychological problems and issues occurring as a consequence of acquired brain impairment. A database of peer-reviewed literature in psychology and many related disciplines. Type “systematic review.mp” into the search box, and combine with other key words and thesaurus terms to narrow the search. The library contains SRs of “social care services”: the entire range of social and related services used by people with disabilities. On the search page, the “Method” specification allows one to select SRs in the area of speech pathology. SCIRE reviews, evaluates, and translates research knowledge into formats to inform health professionals and other stakeholders of best rehabilitation practices after SCI. Centre for Evidence-based Medicine, Oxford University; Summarizes levels of evidence with specific criteria for evaluating evidence. APTA member-only access to a database of article extractions relevant to physical therapy. American Occupational Therapy Association Member-only access to evidence-based literature on brain injury, multiple sclerosis, Parkinson’s Disease, and stroke. Member-only resource area for guidelines. The ACRM strives to apply the highest standards of rigor to the evaluation of research evidence and its application in rehabilitation clinical practice. ACRM has established an Evidence and Practice Committee (EPC) to provide advice on all issues relevant to the collection, evaluation, and dissemination of evidence and the guidelines/practice parameters that may be based upon it. if intended for publication in Archives of Physical Medicine and Rehabilitation, collaborates with the editorial board in developing and reviewing evidence-based reviews and practice guidelines. develops and/or disseminates information on EBP and information for use in EBP. The EPC has primary responsibility for evaluating the quality of evidence reviews and EBP recommendations that would be disseminated as ACRM systematic reviews, guidelines or practice recommendations and for facilitating the development of such materials in the ACRM. The EPC also evaluates all guidelines or recommendations developed by other organizations proposed for ACRM endorsement and provides recommendations to the Board regarding approval. Final endorsement requires ACRM Board of Governors approval. multiple professions. EPC has selected the methodology developed by the American Academy of Neurology (AAN) as the preferred way of developing guidelines for rehabilitation professionals. 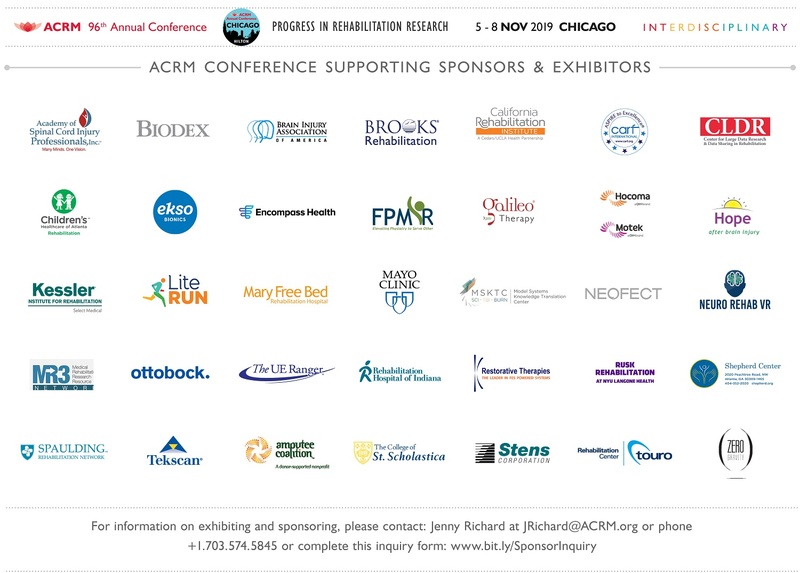 While the AAN method is the preferred basis, reviews and guidelines developed using other recognized evidence-based methods such as those of the Cochrane Collaboration, the Appraisal of Guidelines for Research and Evaluation (AGREE) collaboration, Grades of Recommendation, Assessment, Development, and Evaluation (GRADE), the Institute of Medicine, and the Agency for Healthcare Research and Quality will also be considered for ACRM endorsement. The EPC also develops materials and standards to improve the synthesis of research information and its application to rehabilitation in practice. The EPC meets by teleconference on a regular (e.g., monthly) basis and face-to-face at the annual ACRM meeting. Additional meetings of the EPC and/or sub-committees of the EPC are called by the Chairperson(s) on an as needed basis. Different organizations employ different but overlapping terms. Generically, the term “recommendation” is applicable as a statement about what is desirable in clinical practice. The terms “treatment option”, “recommendation”, “guideline”, and “standard” are related to these levels of recommendation, “option” being the weakest recommendation and “standard” being the strongest recommendation. In this Policy and Procedure statement, we use the terms recommendation and guideline interchangeably, but it should be noted that other publications use the term “guideline” to mean a strong recommendation. education and consultation regarding methods and criteria for establishing guidelines or practice recommendations. Prospective topics and the systematic review plan are communicated to members of the Archives editorial board to facilitate eventual publication in the Archives, which after internal screening designates a review editor to handle the project. Systematic review of the literature. This includes identifying relevant publications, classification of level of evidence, creation of evidence tables, and analyzing the data. Writing the review and practice recommendation or guideline. The strength of practice recommendation is proportioned to the strength of evidence.2 Recommendations are also typically made for future research. Writing the guideline or practice recommendation can also be a separate step from the literature synthesis, as considerable work is often needed to integrate research evidence with clinical experience and the values of persons served. According to the AAN Process Manual, two class I studies are needed to support a Level A recommendation that a treatment is “established as effective” and “should be considered”. Two class II studies support a Level B recommendation that a treatment is “probably effective” and “should be considered”. Two class III studies support a Level C recommendation — that a treatment is “possibly effective” and “may be considered” (p. 19). Lower levels of evidence support only a “U” recommendation: applicability to practice is unknown or scientifically uncertain but research recommendations are provided. Extensive peer review and EPC review. Draft EB reviews and practice recommendations are sent to a broad spectrum of methodological and content experts. EPC members also review guidelines and practice recommendations, paying particular attention to whether standards for evidence review and linked practice recommendations have been met. Feedback to authors should be constructive as well as critical. EPC vote. After completing the review process, the EPC votes on whether proposed guidelines and EB practice recommendations have met standards (see below). Communication with editors of Archives of Physical Medicine and Rehabilitation and publication. (See below). Reviews are sent to the Archives for independent peer review and possible improvement. ACRM Board approval. The EPC forwards its recommendation for approval to the ACRM Board (see below). Endorsement by other organizations. For guidelines and recommendations produced under the aegis of ACRM and accepted by the Board, the EPC will solicit endorsement for the EB guidelines from other professional organizations with a requested response time of 45 days. Preparation of update statements. Updates are prepared on a regular basis (e.g. every 2 years, or whenever significant new evidence alters a practice recommendation.) . Requests to the ACRM to approve or evaluate an evidence review, guideline or practice recommendation, whether submitted by an ACRM member, committee, or an external organization, are forwarded to the EPC Chair(s). The EPC Chair(s) appoint review panels including both EPC members and non-EPC members, both content and methodology specialists, to conduct these evaluations. After careful review, the EPC votes whether to endorse the review and practice recommendation/guideline. This review is done in a timely way and a target period of review is communicated to authors (e.g., 45 days from the date the final submission is received by the EPC). The EPC forwards its recommendations for endorsement to the ACRM Board for approval. Recommendations for partial endorsement or non-endorsement may also be sent to the board for guidelines developed by outside organizations seeking ACRM approval. Final decisions regarding ACRM endorsement are made by vote of the ACRM Board of Governors. when appropriate to coordinate publication in multiple venues. The EPC facilitates dissemination of information regarding the guideline/recommendation development process as well as information regarding specific evidence reviews and guidelines. The EPC develops and disseminates information on how to incorporate evidence and evidence-based guidelines or recommendations into clinical practice and decision-making by or for persons with disability. Such dissemination can be accomplished by a number of methods including publication in the Archives, courses at Version: EPC Policies and Procedures for FINAL 061512.docx 12/12/2013 12: the ACRM Annual Conference and Mid-Year Meeting, courses offered at other professional venues, publication in the ACRM Rehabilitation Outlook Newsletter, the ACRM web site, as well as in various appropriate journals, newsletters, and other publications, and other methods. Because of the importance of information dissemination and utilization, the EPC may create subcommittees on dissemination and utilization (a.k.a. knowledge translation) as well a subcommittee on evidence synthesis and guidelines. The EPC attempts to provide information useful in clinical, administrative, policy making and research practice. The EPC also facilitates or cooperates with efforts to evaluate guideline implementation and utility in practice.